Teachers of all educational institutes, be it school, college and even coaching classes would agree that creating question papers is a tedious task. Not only do they have to come up with relevant questions for each class, but also have to take an effort of entering the questions in the computer. In most organizations, this job is done by dedicated DTP operators. Still, the process of selecting the questions, typing them, proofreading them, getting them printed, etc. takes a lot of time and effort, which is more in case of coaching classes where tests or exams are conducted more frequently. Here is where Addmen's ? Test Paper Generator Software comes into picture. The question paper generator by software not only acts as a tool to generate question papers but also acts as a bank where you can store your questions. The only thing that you have to do is to create Word files of questions. Actual generation of question papers is done by the software. This software also provide you the question input format of online test creating software. Is it Possible for More Than One User to Work on the Same Software? Yes, you do not have to buy more than one software license for multiple users to work on the same software. Not only many users work on one software but they can all work separately on their question bank. Is it Possible to Store the Blueprints of the Question Papers Created? Yes, just like storing the questions in the question bank software, you can store the blueprints of the question papers generated in the software. 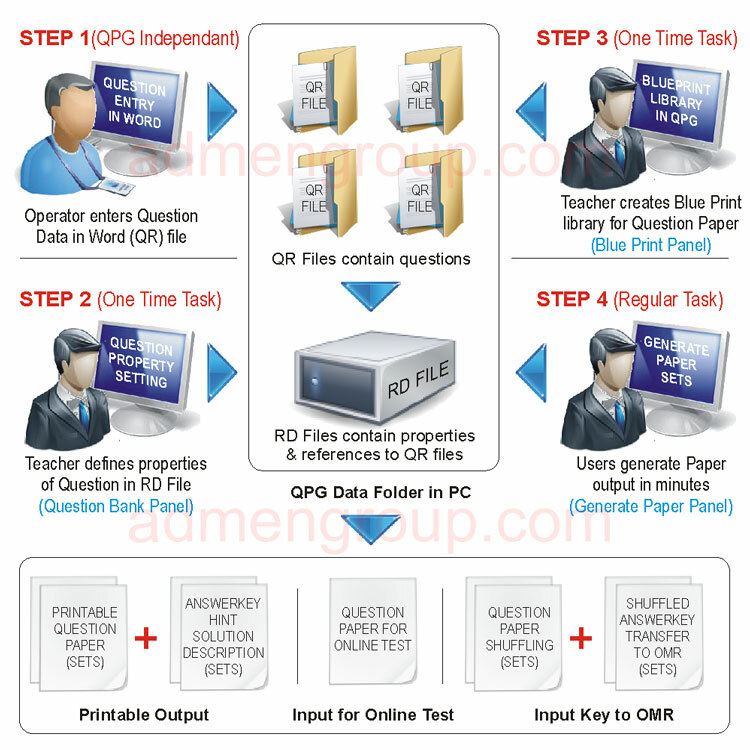 Addmen's question paper generator and question bank software make creating test papers an easy process, as you can do that in minutes, without taking the help of computer operators.